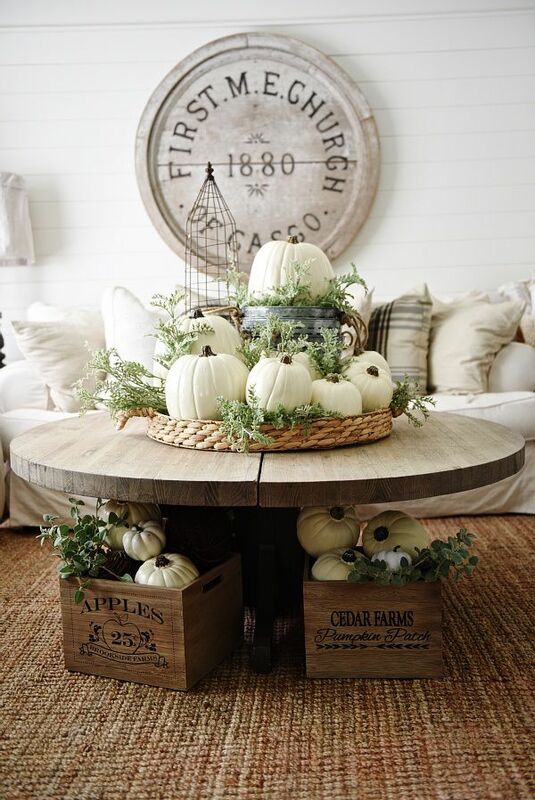 Home > Décor & Furnishings > Fall Tablescapes Done NOT so Typical! 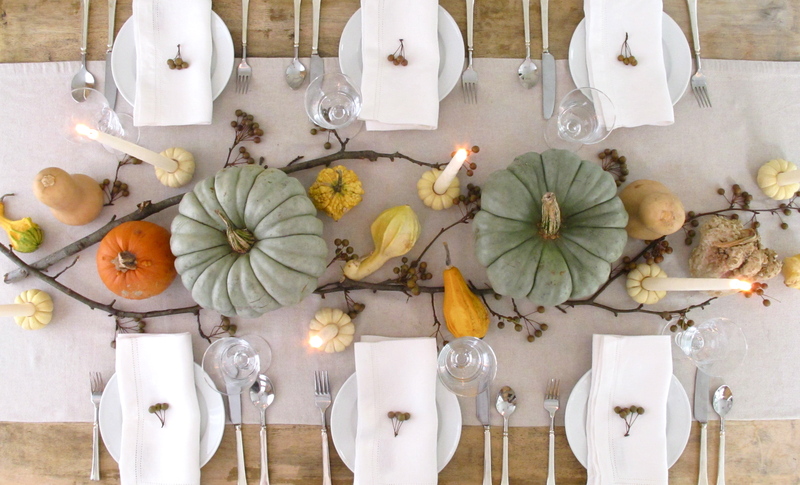 Fall Tablescapes Done NOT so Typical! I strive to do things a little out of the box while at the same time keeping the traditions alive. Fall tablescapes are traditionally done in fall colors, deep shades of oranges, reds, and browns but, this year I am seeing a bit of a twist on the traditional way and I like it. As I have mentioned in previous posts I love tablescapes that have a lot of natural elements in them and my favorite fall tablescapes today are filled with nature. Pumpkins are a sign that fall is here and give that traditional vibe. Choosing to change their color to soft pastels can add a special twist to your fall tablescape. Using Chalk paint adds a vintage touch to them. 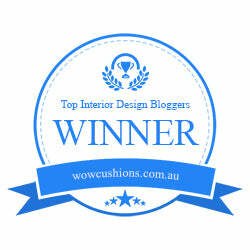 Visit my post on, DIY – How to Make an Old Chair Into a Statement Piece, for a recipe to making your own chalk paint. If you don’t want to make your own paint I recommend using, Annie Sloan’s Chalk Paint. You can buy faux pumpkins at any craft store but, if you’re like me and don’t want to store fake pumpkins buy the real thing. Buy different size pumpkins so you can make some interesting arrangements. If you’re creating a centerpiece, having a base with a low wall will help to create more stability and using pumpkins of varying sizes will look nice. Adding fresh greenery or babies breath is a nice finishing touch. The babies breath will last longer than just green clippings but, not to fear, you can replace them easily giving a fresh new look weekly. Decorating for fall doesn’t have to be complicated. Bringing the outside in does the job for you, like pine cones placed strategically at each place setting makes for the perfect fall tablescapes. Remember it’s about creating a warm cozy atmosphere, just like fall naturally creates for us. 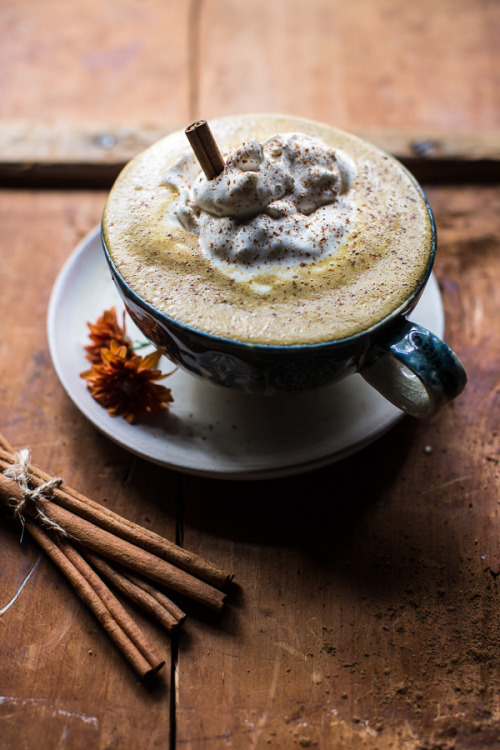 There is nothing better than a warm pumpkin spiced latte or coffee drink to bring in the fall. As always I like to keep it natural by making it with organic ingredients. In a saucepan combine milk, pumpkin, and cook on medium heat while stirring until steaming. Remove from heat, stir in vanilla and spices. Pour into a large mug and then add your espresso or coffee.